Back in April, Yahoo made one great move. Yahoo bought IntoNow for around $30 million. The start-up was just 12 weeks old! Last week Yahoo/IntoNow launched the iPad application that makes use of the IntoNow technology. eBay should have bought it back in April for several reasons. Now they should request access to an API from Yahoo to make use of its technology. I will explain below. One of my favorite applications on my iPhone is Shazam. Where Shazam lets you discover new music if you hear a tune somewhere by just letting the application listen for 30 second to the music, Intonow can recognize which TV program you are watching. IntoNow is a consumer tech company that aims to enhance the way people engage with each other around the shows they love. … Based on the SoundPrint platform, IntoNow gives users the ability to almost instantly recognize TV content and then helps them share and discuss those shows with friends, both within the product and through other social streams such as Facebook and Twitter. Eight months ago, while I was in Sydney Australia for SMX Sydney (great overview of this conference here), I was catching up with the MD of eBay.com.au. She and I have known each other since eBay marketing college back in November 2004. She always said I should talk to her husband, as we are alike in our love for new technology, always on the edge of the next big thing, and really understands how the Internet works (at least, we think for ourselves). Joshua (fertile) gave some great pointers on the ideas I presented to him, and we ranted on for a good half hour about start-up ideas, technology and other concepts. Ever since I read the article on Techcrunch about Yahoo buying IntoNow, I couldn’t help thinking about creative ways to use the technology from IntoNow for a shopping related iPad application. 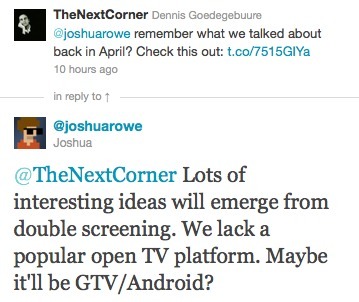 Let’s face it; the two screen TV watching is becoming reality very fast. Checking Facebook, chatting on Twitter or shopping while you watch your favorite series is taking over. This is what eBay calls Couch Commerce. Building an iPad shopping application using IntoNow technology, either through an open API or through a licensing deal with Yahoo, which would allow you to get direct shopping deals for products making an appearance in the TV-show you are watching. How large is the market for product placements? Would I be in a position to get a list of product placements in all TV shows, movies, quiz-shows etc.? How would you handle older TV shows in rerun? Their product placements might be out of date, and worse even; out of stock! Would the networks hand over this list of product placements without sharing any of the revenue the company would be able to make? These Networks do not seem very favorable towards web start-ups eating their lunch! Today eBay launched a new iPad shopping application that lets you shop while you watch TV. Double screening is taking over the living room, a term which is called couch commerce by eBay and PayPal. A new “Watch with eBay” tab has been added to the e-commerce giant’s iPad app that allows users to shop a selection of items on the marketplace related to what they are currently watching on TV. Users tap “Watch with eBay” and type in their zip code, cable provider, channel and the program they are currently watching; and using show and event-specific key word searches, the app will surface relevant merchandise from the more than 200 million listings available on the eBay marketplace. eBay says this is just the beginning. The company plans to partner with networks, stations, cable providers and studio to identify products featured in each scene of a movie or show. In my opinion, the tab with the Watch With eBay is a brilliant innovation in the eBay App. However, the solution for matching TV show you are watching with merchandise on eBay, could have been much simpler. Instead of a costumer needing to type in all the information about location, channels etc, the IntoNow application SoundPrint platform can be used. The application could just listen which program you are watching, and serve relevant merchandising up based on the products featured in those TV shows. You can even sell advertising on the side which matches the Advertisement blocks on TV. This way the consumer will get roadblocked! And with regards to the large TV networks, eBay would have the cloud to make such deals happen. Much more chance to make that happen than a little start-up from some crazy Dutch! Since I’m still long in eBay stock, I will send this post to my buddies who work in the eBay mobile team. This team is amazing, and is cranking out new innovations very fast. I got a lesson in start-up ideas again! A good idea is not good without execution! 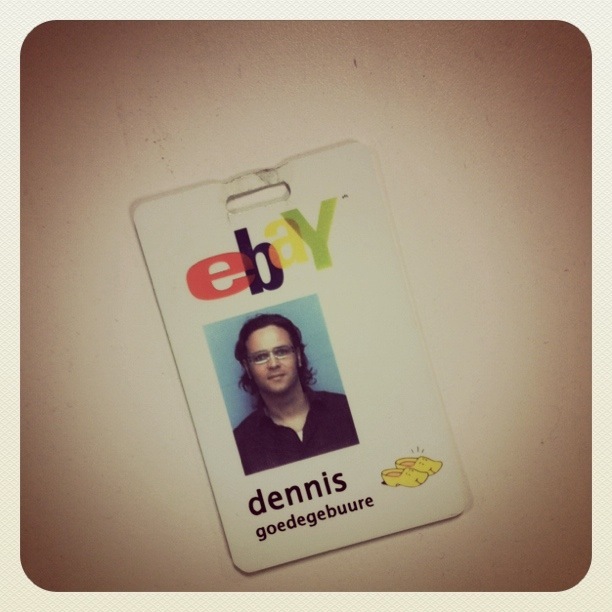 PS> Full disclosure, I’ve worked at eBay for 9.5 years (see my bio page), until the end of July 2011. I have never been exposed to the mobile strategy of eBay. The idea I’ve described above here has never been shared with the eBay mobile team by me. I guess the saying “Great Minds Think Alike” can be applied here. 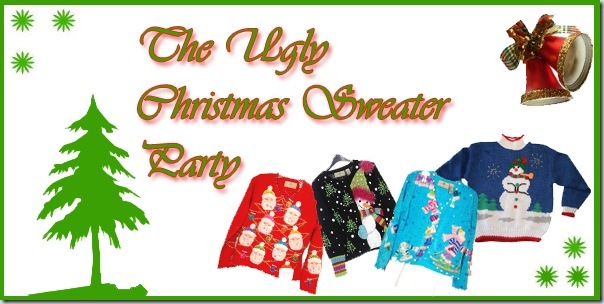 Now that we have Halloween just behind us, the shopping season is just around the next corner. 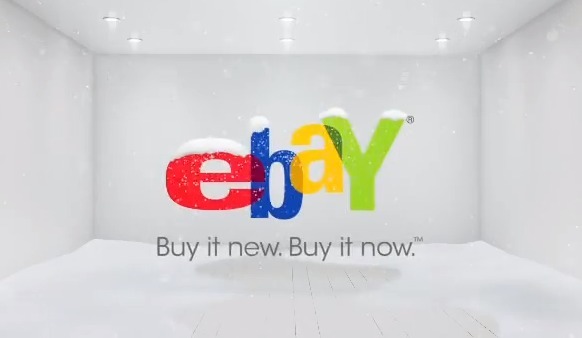 eBay has just launched their new branding campaign, which includes TV-commercials. This is the first brand campaign since 2-3 years, which is showing the team feels confident they are ready for a big shopping season this year. And I hope so, full disclosure: I’m still long in eBay stock! Buy It New Buy It Now! The tagline of the new campaign is: Buy it new, Buy it Now! 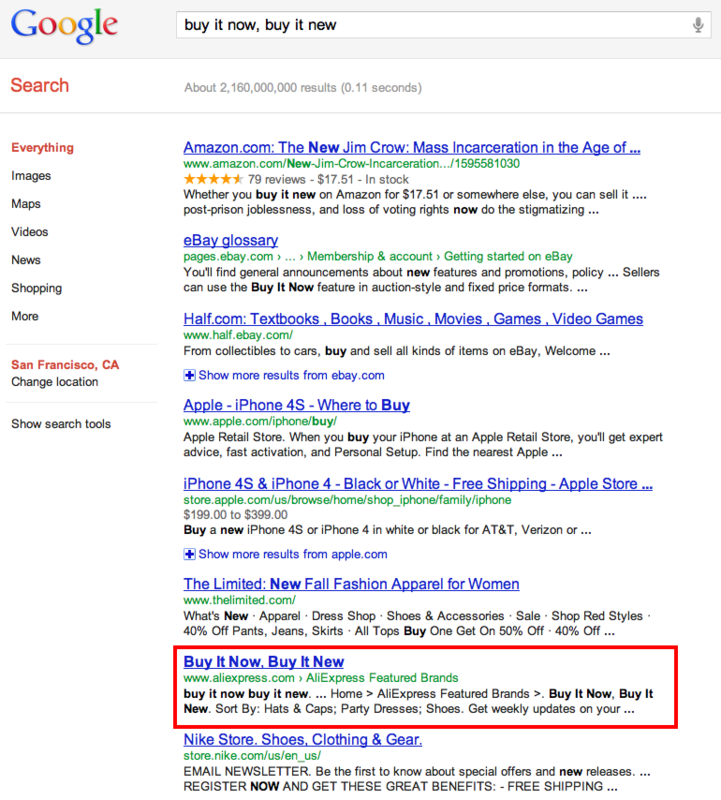 The new eBay brand campaign was highlighted 3 times in the last earnings call, and several questions from analysts were geared towards the brand campaign: Buy it New, Buy it Now. 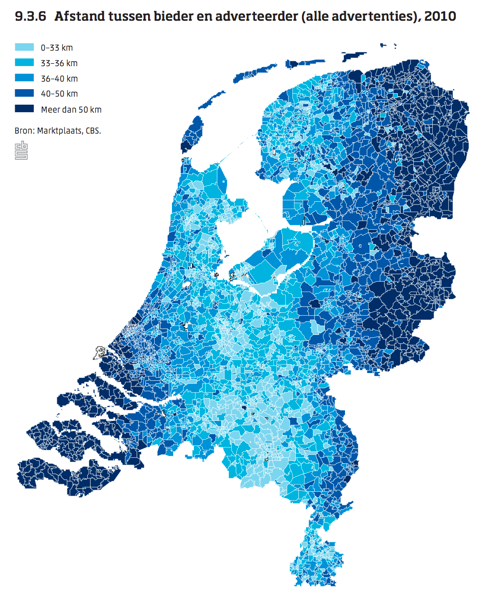 For a couple of years I’ve been testing out a technique to gain extra traffic to my Dutch blog: Thenextcorner.com. When I spotted a flashy brand campaign on Dutch websites, where the banner was linking to a website in all flash, I would try to hijack the brand traffic. Most of these flash sites would not have decent ability to rank, where SEO and flash don’t go well together. By writing a simple post with the tagline in the title, I would be able to rank my page and hijack the traffic for all the brand searches. Doing a simple search on Buy it New, Buy it Now, you can see potential here as well… But I’m not the only one who thought of that! In the mean time, AliExpress is making sure the message is clear; you can Buy it New, Buy it Now on AliExpress. To Be Copied a True Form of Flattery? A pretty low way of marketing your own brand if you ask me, but it seems to be working for AliExpress. At least eBay is able to take down the Halloween decorations on the site in time, where AliExpress is still showing ghosts and Jack O’Lanterns. 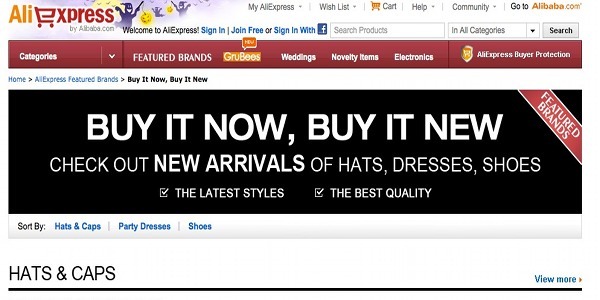 For me, AliExpress will always be remembered as the brand that could not do it on their own, but needed to lean on the marketing campaign and hijack the traffic. In China they say that getting copied is the truest form of flattery. Always make sure you own the search results for your own branding message.Use the tagline as the page title for your homepage, Set up a mini-site, where you feature the video’s, claim the twitter account, or build a Facebook page. There are multiple cheap ways to dominate the first page for your message. Although the eBay branding for this year is pretty generic, the least thing you should make sure of is rank for your own marketing tagline. That whenever people type in the message into a search engine you put into your TV commercials, you get the traffic, not your competitor. As it has only been one months since I left eBay for Geeknet, i’m still keeping track of the news on eBay through my social media, RSS reader and stock alerts. Today, two news items drew my attention. 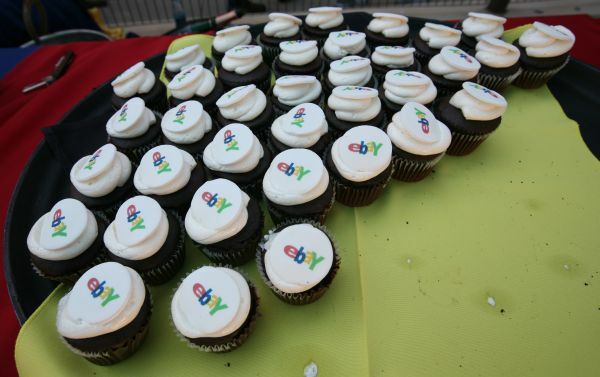 First of all the news eBay has hired a new president for Marketplaces, Devin Wenig, who will have big shoes to fill as he is following up Lorrie Norrington. 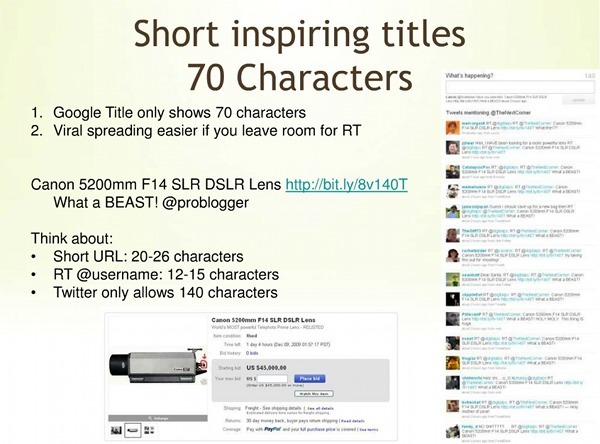 Second, my eye fell on this article on TameBay: 80 Character titles now live on eBay. 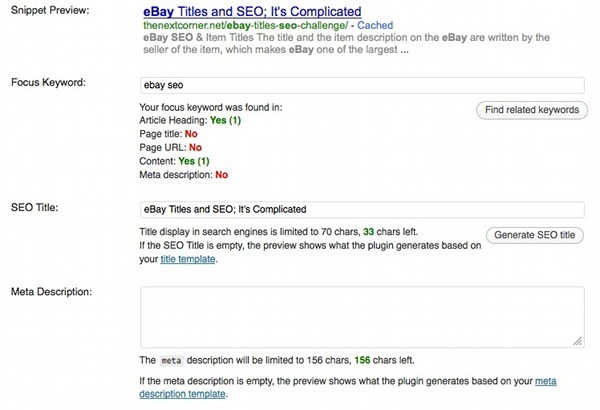 The title and the item description on eBay are written by the seller of the item, which makes eBay one of the largest User Generated Content (UGC) Sites in the world. It would be a huge task to optimize the page titles for all items live on the site, which is why these are being handled by a template editor, in which the template is the item title.I know my buddy Hugo Guzman would not approve would advice against optimizing page titles like this, but at a scale of 100 million items live on the site, it’s just too much to optimize the titles separately. (read here Hugo’s great post: Newsflash the mainstream still doesn’t understand SEO). Most SEO’s can explain to you why Page Titles are important. These are not only important because these sit in the head section of the page, which can help to get the page a topical focus by optimizing the page title for your main keyword. The page titles are also used as the link in the SERP snippets, which allows any site owner to take control of how you communicate with your potential customer in the search engines. 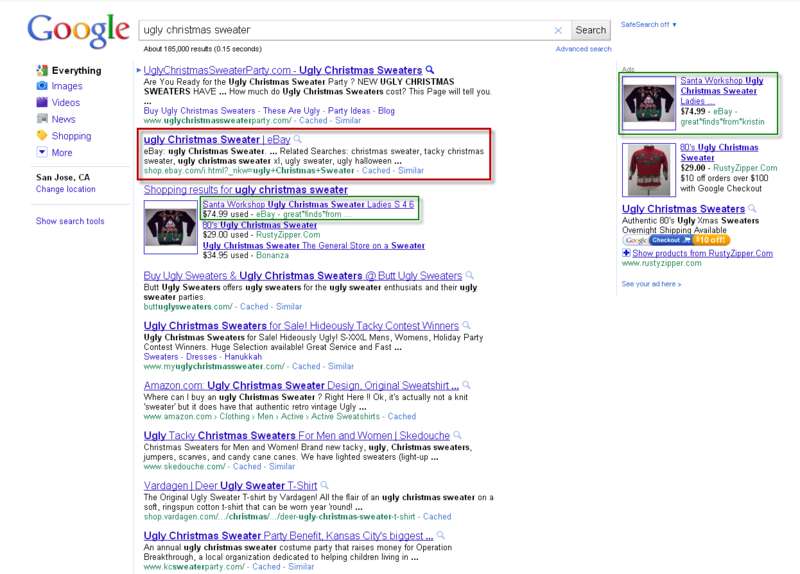 However, the SERP snippet is only displaying a maximum number of characters in the link. This maximum is between 65-70, depending on the word around the 65e character. You can see in the image below here what happens when you go over the maximum number or have a long word around the 65e characters. eBay has Social media sharing buttons implemented on the item pages. This makes it really easy to share any item through eMail, Facebook or Twitter. 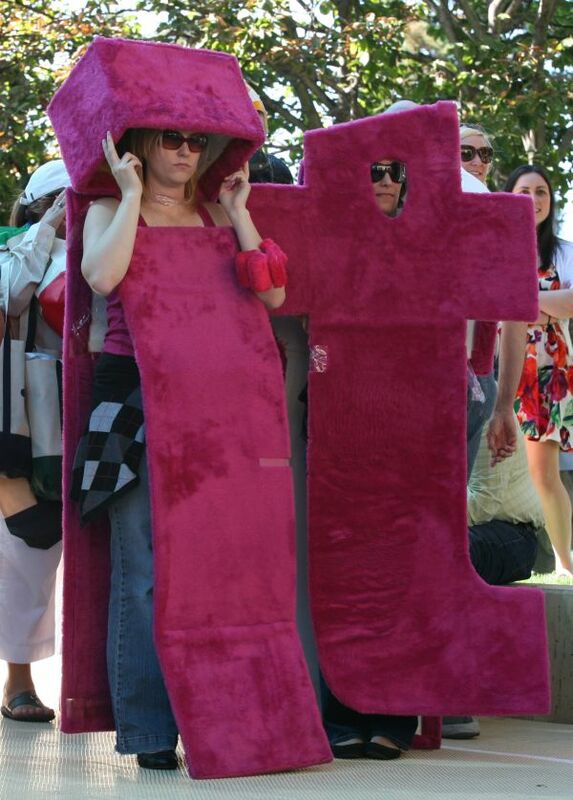 However the number of Characters for Twitter are obviously limited to just 140! With 80 characters already in the title, and a short url spanning 25 characters (including the space) there is hardly any room for anybody to retweet the message without changing it. As you can see, I got a number of retweets because Darren spread the message through his DPS Twitter account. This can be powerful stuff to get more site traffic from Social, and get more links to your site just by getting the content in front of more people. Although the expansion of the number of characters in item title on eBay seems like a great service to sellers, I can imagine some sellers will be confused or annoyed their titles are not being used by the search engines or the people on Twitter as they had crafted the title. So far, I doubt it that many sellers already have updated their listing templates or current live listings, so it will be hard to get evidence of a better or worse result on these items. This way, the seller can take fully advantage over how the item will be marketed to their customers in search, while the actual item title can be longer and take up more space with the extra added characters. Always ask yourself: What would Hugo Guzman do…? I wrote this post last Saturday, but as the financial results for Q2 for Geeknet were only announced today, I decided to wait with public posting until after these were announced. Restless sleep, early wake ups and nervous moments. The last week was a tough one! Last Friday, after 9+ years, was my last day at eBay. Leaving a company where you worked for so long, feel like ending a long term relationship. And when the job was your first one fresh out of university, it feels like loosing your very first love…. But yes, it was my last day, and when I walked out of the office at Hamilton Ave in San Jose at 5.30pm, I felt empty and exhausted. When I got home, I crashed and slept from 8pm until 8am, 12 hours straight. I guess I had some recovery sleep to do after the 3 hours nights of the last couple of days! The years I’ve spent at eBay have formed me in the way I work. Obviously my parents had more influence on my character, but 9 years with the same company will have a profound impact on your ways of working. 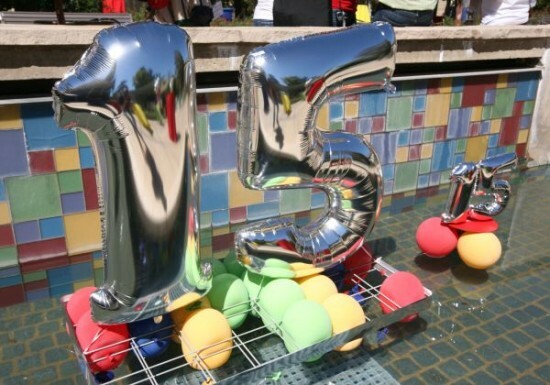 I’ve been blessed to spent my first decade in the workforce with a great company like eBay. The internal values and behaviors the founder, Pierre Omidyar has set up in the early beginning make for a good work ethos. I will carry these values with me for the rest of my life. I love eBay! The decision to leave such a great company, efficient business model, talented colleagues, endless amount of data and cutting edge technology was a hard one. But sometimes you have to cut the cord to move forward and grow into the new stages in life you have set out for yourself. But there is no doubt that I will miss every part of my former job! – Marketing college in San Jose, meeting David Knight, who brought me over to the US one year later. Lesson learned: Network! David is still a close friend of mine! – Organizing the ever growing IM summits in Tallinn Estonia (75 attendees), Dublin Ireland (150 attendees) and Prague Czech Republic (250 attendees), without any casualties or missing persons. Lesson learned: Don’t leave a man on the field, you leave the bar last if you’re responsible! 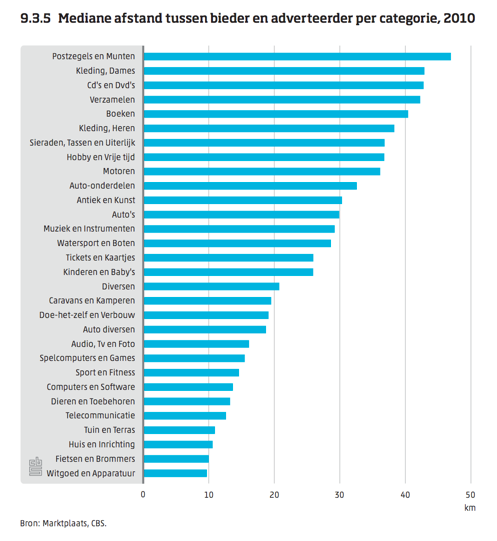 – Working on the Pietersberg Strategy, “How to beat Marktplaats”, which resulted in the acquisition of the leading Dutch classifieds site for $300M. Lesson learned: if you can’t beat them, buy them. Marktplaats is currently the biggest and most successful classifieds site in eBay’s portfolio. – Representing eBay at 7 SEO conferences, eBay DevCon & Paypal X as a speaker. 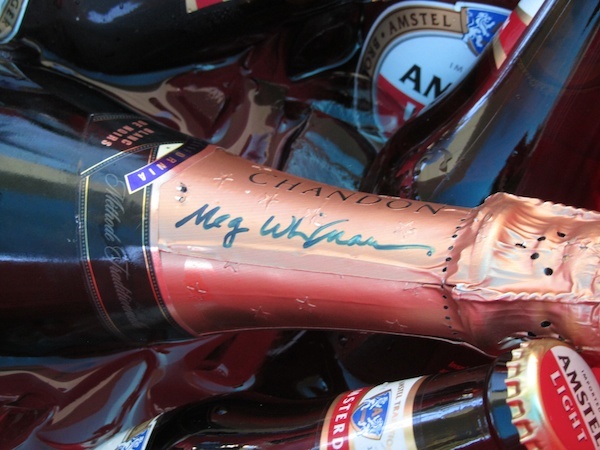 Lesson learned: Building your external brand accelerates your market value. – Submitting my first patent: “Method for Automatic Document generation based on Referral”. Lesson learned: you don’t have to be work in technology to file patents. In my search for a next challenge and opportunity, I decided to be on the look out for a smaller company with a large opportunity. After 9 years at a large company, with all the good, the bad and the ugly that comes with it, I want to experience a different working environment, different challenges and new opportunities to grow and stretch myself. I found this in a 17 year old company, listed on the Nasdaq: Geeknet Inc. Although not a startup, the company has big potential and advantages. Balance sheet very healthy, no debt and cash in the bank, a couple of old, focused internet brands, brand new executive team with big plans, and reasonable stock price, where the company did a reverse stock split last year. As of August 1st, I will be joining Geeknet Inc. as Vice President of Internet Marketing Media. The Media group at Geeknet manages the websites Slashdot, Sourceforge and Freshmeat. I’m very excited to start working with these websites. Especially Slashdot, as this is one of the old phenomenon websites out of the dotcom bubble age. 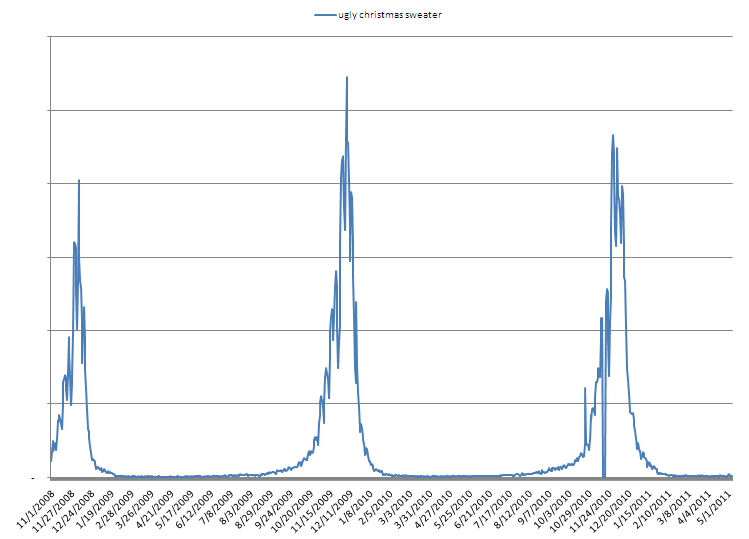 Who doesn’t know the Slashdot effect…? If you don’t, you probably are not Geeky enough.. J. Before there was Digg, before there was Techmeme, there was, and still is: Slashdot; News for Nerds, Stuff that matters! But also starting to understand, appreciate and use open source software in my own projects, makes this opportunity super exciting for me. I feel this is a new chapter in my life, in which I will learn so much new stuff. Over the last 2 years, with the TFNS Strategy and platform development and working on my own websites, my interest has grown into the field of open source software and application development. 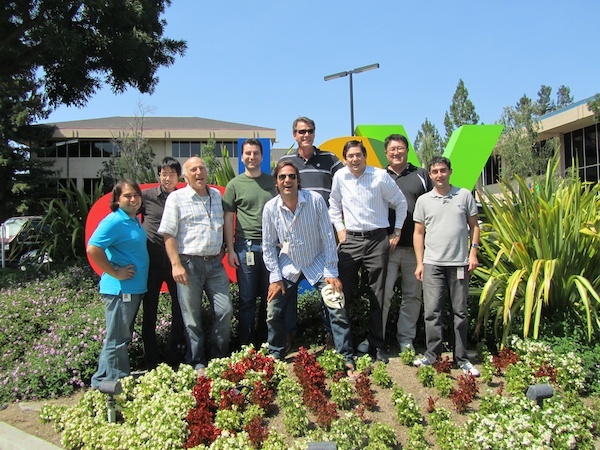 In this position, I will be using the skills and learning’s from my tenure at eBay. I will focus on SEO, Social Media and email as free traffic drivers for the three sites, and I will conduct paid advertising as Paid search ads or deep partner relationships with other relevant websites. I’m very thankful for what I’ve learned, the opportunities I’ve been given and more importantly, the people I’ve had the pleasure working with. You ALL ROCK!I’m sure I will miss a lot of eBay, but most I will miss is working with the great colleagues and friends I’ve made over the years! How do you sell a Volkswagen Dune Buggy? Right, you place a model in a short skirt in the pictures of the Buggy! Very creative, but if you really would like to sell this Dune Buggy Safari Trail style, they might just lower the price and I consider buying it!